If I hadn’t had to live with the ramifications of Attention Deficit Disorder in my own home, I probably would have stayed with the approach [referring the management of ADD back to medical professionals with little training in ADD treatment] for a long time, thinking I was really making a difference in people’s lives. Instead, as I faced the problem daily, I became aware of the pervasive, chronic nature of ADD and the need for a much more systematic and comprehensive treatment approach. As a result, I left Children’s Hospital and organized a team of professionals including teachers, speech-language pathologists, psychologists, counselors, nurses, and others to begin TRANSACT Health Systems, now known as The Being Well Center. Located near Pittsburgh, Pennsylvania, The Being Well Center provides diagnostic and treatment services for individuals with a variety of developmental, learning, and behavior problems — again, the most common being ADD. At The Being Well Center, our initial focus was children and adolescents with these problems. However, it has become more and more apparent to us that there are large numbers of adults who continue to struggle with problems like ADD. Many of them are the parents and grandparents of the children we see. We have expanded our services to meet their needs as well. 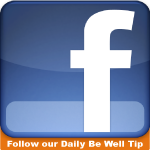 As Senior Medical Director of The Being Well Center, I have counseled thousands of patients with ADD. I have worked with their family members. I have talked to hundreds of PTA groups and community organizations. I have conducted many in-service sessions about ADD for medical and educational professionals have supervised the expansion of our TRANSACT program to the other parts of Pennsylvania and the Eastern United States. Through my involvement in all of these endeavors, I have become impressed with how little most people know about the common problem of ADD. Even though the same questions keep coming up, no one has provided a good resource that patients, parents, teachers, and others can use to better understand ADD. That is the rationale for my books, this blog, and our online communities on Twitter, Facebook, and LinkedIn: to provide practical, down-to-earth answers to the common questions about ADD, its assessment, and its treatment. In putting together the answers, I have tried to combine the scientific knowledge I have gained as a researcher and teacher, the insights I have developed in working with professionals from other fields, the practical experience I have acquired in caring for more than 10,000 patients with ADD, and the hopes and fears I have experienced as a parent of a child with ADD. Read Part I of Dr. Liden’s personal and professional 30-year journey in treating more than 10,000 individuals with ADD/ADHD. I first became aware of Attention Deficit Disorder or ADD when I was a Pediatric Resident in training at the Children’s Hospital Medical Center in Boston. When I began my rotations in the outpatient clinics, I expected to face challenging, diagnostic dilemmas involving clear-cut medical problems. Instead, I found that most of the children referred to these clinics were sent because of learning or behavior problems. I soon discovered that ADD was one of the most common reasons for these children’s difficulties. At the time I really knew nothing about ADD. I vaguely remembered hearing something about it during a lecture in medical school. As I tried to become more informed about Attention Deficit Disorder, I found that ADD was only superficially described in my textbooks; there was no standard reference book on the topic; and journal articles rarely agreed about what to call it, what it was, what caused it, or what to do about it. I struggled to apply my simple cause-effect, medical model to ADD and what I got in return was frustration. So did my parents! As a result of my frustration, I realized I could help myself to better understand and treat learning and behavior problems only with additional training in this area. I participated in a fellowship at Harvard designed to teach pediatricians how to research, teach about, and treat these problems. During this fellowship, I began to develop an appreciation that learning and behavior problems, like ADD, are far from simple; that they are, in fact, highly complex. I also learned that, as a physician, I have an important role to play in diagnosing and managing these problems, but that I can never do it alone. To be effective, I need to mesh my knowledge and skills with those of teachers, psychologists, speech-language pathologists, counselors, and others. During my fellowship training, I had the opportunity to leave the hospital setting and see kids in the “real world.” While conducting research in schools, I was shocked to find that the children I had been seeing at the hospital’s clinics represented only the tip of the iceberg. More than a third of the apparently normal children I worked with demonstrated some type of problem in their learning or behavior. And attention problems were the most common. After my fellowship, I took a faculty position in the Department of Pediatrics at the University of Pittsburgh and started a program called the Child Development Unit at the Children’s Hospital of Pittsburgh. This position gave me the opportunity to develop and research my own testing procedures for problems like ADD. In addition, I had the chance to put together a unique team approach to address these problems. Team members included social workers, psychologists, special educators, and speech-language pathologists, as well as medical staff. Throughout my years at Children’s Hospital, I also struggled with the frustration of trying to teach medical students and residents about learning and behavior problems. Similar to the feelings that I had experienced as a Pediatric Resident, most of them hoped to diagnose simple problems that would respond to the neat technological approaches that worked so well in other areas of medicine. Unfortunately, problems like ADD do not fit this mold. At this stage in my professional development, I focused too intensely on the diagnosis of problems like ADD and not enough on effective treatment. Treatment, generally, was limited to a lengthy diagnostic report to a school. These reports concluded with recommendations telling teachers how to do their job better, and they did so without considering the kinds of resources, or lack of resources, at each school. Needless to say, such pontificators from the ivory tower of the university did not promote the cooperative working atmosphere that would be most beneficial to my patients. I also tended to refer the management of problems like ADD back to family doctors, pediatricians, or community mental health professionals who frequently had little training or experience. Unknowingly, this approach stirred up everyone’s concern but gave little practical support or guidance about how to deal with the problems. Check back tomorrow for Part II of Dr. Liden’s personal journey that has helped him become a leading international expert on the treatment and diagnosis of ADD/ADHD. Pay Attention…we’re starting something exciting! As the saying goes, “Time sure flies when you’re having fun.” It’s hard to believe that it has been more than 30 years since I first began studying and treating ADD and 26 years since I published my first best-selling edition of Pay Attention. I have now participated in the care of more than 10,000 children, adolescents, and adults with Attention Deficit Disorder. I have seen some of them regularly for more than 20 years. This has given me a chance to watch ADD evolve across the lifespan from early childhood to late adult life. 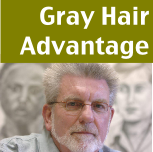 While this experience has probably contributed to the graying of my hair, it has also made me much wiser about ADD, its varying manifestations, its impact on health and well-being, and its chronic, unremitting nature. I have also gained more insight about why ADD can be so difficult to recognize and accept, and how empathy and caring from loved ones cal lead to enabling and unhealthy codependency. The basic philosophy and principles that I have used to address problems like ADD remain the same today as they were more than three decades ago when I first started working with ADD. This solid foundation has been a stabilizing force that has made it easier to absorb and integrate the many changes that have occurred within the ADD field and in health care in general. Despite sophisticated technological advances that have refined our understanding about the biological underpinnings of ADD, diagnosing it remains a clinical art that requires a systematic approach, effective communication skills, and time. Similarly, even though we have many more medication options available to us to treat ADD, successful management is still best achieved by employing a systematic approach that embraces the unique characteristics of each ADD individual and strives to provide symptom relief in all life arenas throughout the waking day. Over the past 30 years, I have also had a variety of exciting professional activities out of the office, which have enriched my perspective about ADD. I have visited the offices of hundreds of primary care physicians in order to teach them how to identify and treat ADD and, in turn, have gained a greater appreciation regarding the barriers they face in trying to meet the needs of this challenging group of individuals. I have been privileged to lecture about ADD to numerous lay and professional audiences from Florida to Alaska. I was invited to make a presentation entitled: “TRANSACT: Toward a Standard of Care for ADD” at one of the first international conferences about research and practice in ADD in Jerusalem, Israel. I recently helped establish an ADD clinic, Servyr, in El Salvador using the same principles and procedures that I have found so successful in my practice in Pittsburgh, Pennsylvania. Most recently, I had the pleasure of working with Lisa Ling and her production team as they highlighted the diagnostic and treatment strategies of The Being Well Center in Lisa’s docu-series “Our America” on the Oprah Winfrey Network. Lisa’s passion for the investigation stemmed from her personal quest to determine, “Could ADHD be the cause of my struggles?” The positivity and enthusiasm Lisa and her team exhibited were noteworthy as I guided her through The Being Well System diagnosis. These experiences, along with many others, have reinforced the fact that ADD is a common, serious problem that can be found everywhere. All this means that there is an even greater need today for a practical resource like Pay Attention than there was when I wrote the first edition almost 30 years ago. I hope and pray that, by sharing my experience through this upcoming Pay Attention blog series, I can positively affect some of the millions of individuals around the world whose lives are touched by ADD. Pay Attention to our upcoming blog posts…I’ll dive into some of the most compelling issues surrounding the controversies of living with and successfully treating ADD/ADHD. Together, we’ll raise awareness and acceptance of this disorder. We’re starting something exciting with ADD. Dr. Craig Liden, MD is the Founder and Medical Director of The Being Well Center, an ADD/ADHD diagnostic and treatment center located in Pittsburgh, PA. Dr. Liden’s first book, Pay Attention, along with his other publications, are available for purchase at The Being Well Center. On occasions, parents and significant others aren’t sure whether the BWC is the right place to meet their needs. Sometimes the identified patient (i.e. child, adolescent, young adult, or older adult) isn’t ready to get help, but the significant others are at wits end trying to figure out what to do next. Our Problem Definition Appointment is the ideal answer for these types of situations. During this 1-1/2 hour appointment with Dr. Liden or a senior member of our team, significant others are provided with a non-judgmental environment where they can openly and honestly express all of their concerns. We guide them to tell their story and share all aspects of the difficulties they have been experiencing. We explore the efforts they have made to address their concerns and begin to uncover what did work, what didn’t, and why. We are particularly adept at getting to know significant others quickly, including their temperament, attitudes, values, hopes and fears. At the end of the session, we suggest what seems to be the best next step. This might mean further involvement at the BWC or, when appropriate, referral to another resource that we feel will better meet their needs. After the problem definition appointment, when an identified patient (child, adolescent, young adult, etc.) is resistive to some type of evaluation or other intervention, we provide ongoing supportive counseling to significant others. Facilitating an understanding of the whole individual and the fact that problems are never the result of one factor, but always the result of a multiplicity of factors interacting together. This helps reduce much of the guilt that significant others normally carry with them. Helping significant others identify and manage any co-dependent or enabling behaviors that could stand in the way of moving forward. We try to help parents get out of the “you’re dammed if you do and dammed if you don’t” bind. Helping significant others become more self-aware of their role in the problems they are experiencing and empowering them to take steps to exert better self-control over their actions. We have found that taking charge of yourself is the best way to begin changing a bad situation. The only thing you really can control is you, so we try and help parents successfully do it. Assisting significant others to take some action steps, including establishing more appropriate expectations for their child, setting up clear “house-rules” to be followed, and defining meaningful and appropriate consequences when expectations and rules aren’t met. We help significant others present these changes to their child and we’re there to provide ongoing support to help them follow through and stick with their action plans. Providing support to parents while their children are away at a distant program and aftercare support when they return. We have found that when we help empower parents to “change the game” then the child, adolescent or young adult by necessity has to make some type of change as well. 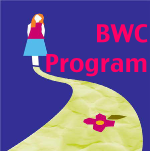 We hope that change becomes getting involved with the BWC for help with their problems. We always include significant others in the implementation of our success plan for their child, adolescent or young adult who has gotten involved with the BWC. When a child, adolescent, young adult or spouse chooses to get involved with the BWC, the first step is a Discovery Session where we look at the problems from everyone’s perspective: the child’s, parents’, schools’, other professionals’, etc. We call it “simultaneous sampling” . . . looking at the same issues from a variety of perspectives helps us make sure we’re getting an accurate picture. We use a series of comprehensive questionnaires and structured interview formats to achieve this goal. Once a success plan is developed, significant others always have some role . . .
We help them learn how to become a supportive part of the success plan without taking away the child’s, adolescents or young adult’s responsibility. We facilitate understanding and acceptance of the individual differences of all family members and use this to improve family communication patterns and dynamics. We help all parents refine their parenting skills . . . we don’t take children into a room and shrink their heads while the parents sit in a waiting room. Rather, we do very directive counseling and always find a way to help parents find a role in facilitating their child’s success. We regularly meet with parents to get their perspective on “how things are going”. We try to tease out the reasons a parent and child would see behaviors differently and try to get them on the same page. We advocate for our patients needs at all levels of school and will support parents at meetings. We contribute to the development of 504 agreements and IEP’s. The relationships we develop with parents and significant others over time are special . . . partly because of our unique philosophy and mainly because of the type of people who are on the BWC staff. Over time parents/significant others feel a sense of trust and competency that makes them feel comfortable asking us about almost everything . . . their mom’s cancer, their financial struggles, their personal development, whose a good doctor, what should they should do with their lives. We feel humbled by the trust patients and families put in us and work hard every day to be worthy of it. Many of these services for significant others can be provided by our innovative GuideU appointments that employ creative use of video conferencing technology. Tight schedules, bad weather, and distance never have to be barriers to getting BWC support. We are currently working on implementing the same innovative technology to conduct virtual support groups for parents with shared issues. At the BWC, we’re always one step ahead! 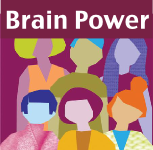 As Founder and Medical Director of The Being Well Center, Craig B. Liden, MD has charted new pathways to successful treatment of ADHD across the life span. Today, he shares his professional journey from Harvard to The Being Well Center with the encouraging message that everyone, not just kids 18 and under, can live renewed lives with custom-tailored ADHD success programs. After I finished my fellowship program at Harvard and the Children’s Hospital Medical Center in Boston, I joined the faculty at the University of Pittsburgh School of Medicine and founded the Child Development Unit at the Children’s Hospital of Pittsburgh. I recruited a multidisciplinary team of professionals and implemented a series of clinical programs, established training activities for Pediatric Residents and Fellows, and conducted research, all focused on ADHD in children and adolescents. I lasted almost eight years in academia before I decided to leave for the “real world” and set up a private practice in Developmental and Behavioral Medicine, a forerunner to my Being Well Center that operates today in the northern suburbs of Pittsburgh. Not long after opening the doors of my practice, I had two important realizations. First, the kids with ADHD that quit coming to the Child Development Unit when they hit age 18 hadn’t really grown out of their problems. Once there was no longer “Pediatrics” or “Children’s” on a sign of the building, they came rushing in the front door, now struggling at college or just to make it in “big life.” No one was out there to pick up where my team and I left off. So, I started to see many young adults with ADHD and refining my protocols to meet their needs. Secondly, many of the parents of the kids I worked with started to come forward: “Hey, Doc, I don’t know if you’ve noticed it, but I have all the same problems my kid has. Can you help me?” In reality, I had noticed! But, I didn’t know where to send them because at that time no one was taking care of adults with ADHD. Having established my own practice, I now had the freedom to open the door a crack and to start seeing a few select adults with ADHD. I quickly got reinforced to do a lot more; not only did these adults start living healthier lives, but, not surprisingly, their kids started doing much better as well…the home was more structured, there was better follow through with discipline, medication was consistently taken on time and so on. These two realizations and the steps taken to address them have given my team and I a unique opportunity to watch the natural history of ADHD across the life span in more than 9,000 patients over the past 30 years. Currently, our youngest patient is three years old and our oldest is in her 90’s! So, we’ve been able to watch ADHD go from early childhood into young adult life, from adolescence to mid-adult life, and from mid-adult life to late-adult life. This extensive experience watching ADHD across the life span has given The Being Well Center a unique perspective on what’s really important in treating ADHD successfully. Have you ever thought, “I wish I knew then what I know now about _______?” with regards to your daily habits, efforts at school, your parenting, your relationships, your health, or some other important aspect of your life? Well, I have–about ADHD! My gray hair and the wisdom that has come with it have given me special insights about ADHD, its impact on health and daily routines, its interaction with other characteristics like temperament, its proper treatment, and much more! This blog will be dedicated to sharing this wisdom with you so that your life, your child’s, or your student’s will become more successful! Dr. Liden is an internationally recognized expert in the diagnosis and treatment of ADD/ADHD. He is a board certified physician who graduated with honors from the University of Michigan and the Ohio State University College of Medicine. He completed his pediatric training and a postdoctoral fellowship at the Harvard University Medical School/Children’s Hospital Medical Center. 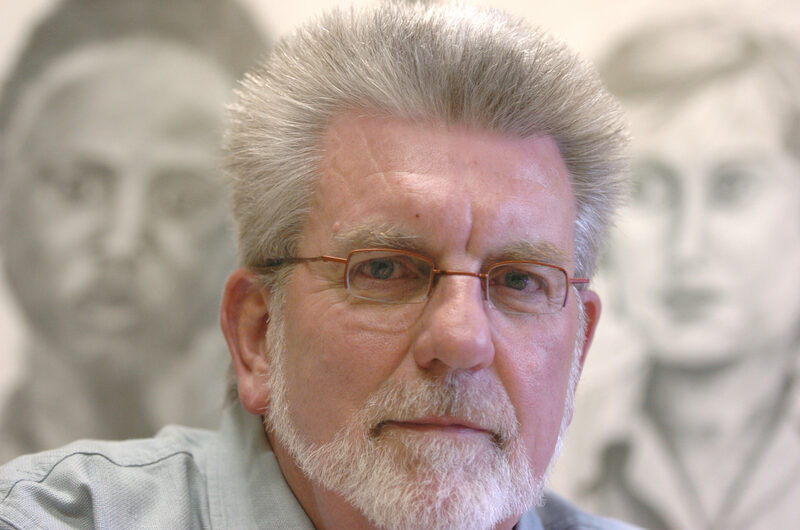 Dr. Liden has served on the faculty at the University of Pittsburgh School of Medicine where he started the Child Development Unit and spent years researching ADD/ADHD, training pediatric and psychiatry residents and other post doctoral students, and establishing a fellowship program in developmental and behavioral pediatrics. Since the 1980’s, Dr. Liden has been in private practice evaluating and treating behavior and developmental issues across the life span. He has treated more than 9,000 patients with ADD/ADHD and related co-morbidities.